It’s a little acknowledged fact that pilots, like doctors, have a bedside manner. The ever-interesting urban dictionary tells us a bedside manner denotes the way a doctor interacts with patients and that a doctor, ‘without a bedside manner may offend or may be overly abrupt with patients.’ In essence, a bedside manner is the communicative sugar that helps the bad news go down. It’s the same for a pilot communicating a life-threatening emergency—a bedside manner can help the passengers go down (calmly, that is). Of course, no matter how good the bedside manner is the passengers are still going down which might explain why ‘bed-side’ can coincidentally be shortened to ‘BS’. Still, if I do have to go down, I think I’d much rather have the calming announcement above rather than a series of expletives, a hysterical scream and a shrieked, ‘kiss your [proverbial] goodbye’. To my reckoning, if the voice hasn’t cracked then maybe the pilot hasn’t cracked either which means there’s still a fighting chance everything will be okay. On the morning of 13 April 2010, when the cabin announcement was made, there were at least half a dozen good reasons why the captain’s bedside manner should have cracked like a cheap piece of masonite. The ‘small problem’ with the engines wasn’t small at all. Unless one was fooled by said bedside manner and one counted some 24,000 kg of contaminated fuel and two stalled engines as a ‘small problem’. The refuel facility at the Indonesian airport Juanda Surabaya had recently been overhauled and several underground fuel pipes replaced—in heavy rain. As the large steel pipes were cut, measured and re-sealed, saltwater from an overflowing pond inevitably made its way into the lines. During the refuel of Cathay 780, super absorbent polymer (SAP) material from the monitor filters reacted with the salt water turning the fuel gel-like. In turn, this caused a significant hose vibration as well as an increase in differential pressure (DP).The refueller, without checking the DP or any other cause for hose vibration, simply re-started the refuelling. Substantial portions of saltwater laced with SAP material flowed freely into the Airbus A330’s tanks (ironically enough after a fuel sample presented to the captain showed it to be ‘clear and bright’). 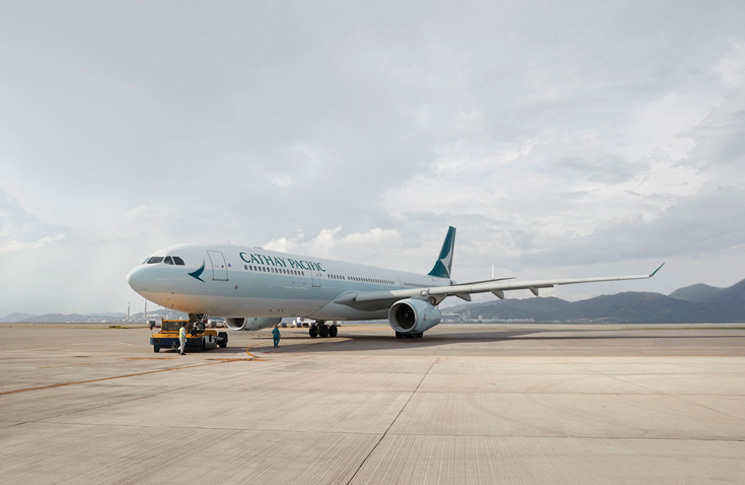 Refuel complete, Cathay 780 loaded up its passengers and took off on its five-hour flight to Hong Kong—the polluted fuel slowly curdling in its veins. The first effects soon became apparent. The engine pressure ratio (EPR) on each of the two engines began fluctuating ever so slightly. Modern turbine fuel systems are engineering marvels with various levels of redundancy designed to cope with various types of malfunctions. But the fuel control lines, nozzles, valves and metering units require a high degree of ‘lubricity’ to function properly. As the fuel pumps dutifully pumped fuel to the two engines, microscopic gelatinous spheres began congealing on and around various components in the fuel metering units (FMUs). It was a fast-motion case of coronary disease except it wasn’t cholesterol-induced plaque narrowing and blocking the arteries—it was the SAP spheres. As Cathay 780 levelled off at 39,000 ft, an amber caution message illuminated: ‘ENG 2 CTL SYS FAULT’. The SAP spheres were building up on the finely tuned FMU components. Through a process known as ‘stiction’, the gelatinous contaminants were progressively jamming the acceleration and deceleration control systems of each engine and disrupting the delicate balance of fuel and air. Unaware of the contaminated fuel, the crew consulted the checklist noting it warned of ‘Engine 2 Slow Response’ and to avoid sudden power changes. Checklist complete, they contacted engineering via satcom and discussed various trouble-shooting options and whether the flight should continue. Because all other engine parameters seemed normal, and because the caution message had now gone out, the consensus was the flight could continue to Hong Kong with maintenance control monitoring from the operations centre. An hour or so later, as a routine descent to Flight Level 380 was conducted, the ‘ENG 2 CTL SYS FAULT’ returned. The thrust change, coupled with the increasing stiction, was causing the metering components to become even more rigid. The EPR fluctuations began to increase. The checklist was consulted as was the duty engineer via satcom. The flight crew’s concern was growing, and they queried whether it was safe to continue the flight. The engineer responded with a working theory that both engines were fluctuating because the digital engine control on the ‘healthy’ engine—the number 1 engine—was trying to compensate for the fluctuations on the number 2. The engineer suggested the flight crew ‘monitor the parameters with care to avoid exceedance and additionally move the thrust levers with care’. More suspicious than comforted by the advice the crew nonetheless elected to continue. Meanwhile the SAP spheres continued to clog the FMUs. About two hours later the crew were cleared to begin their descent into Hong Kong. This meant significant power decreases from the engines which, in turn, meant significant movement of the now congested metering components. Normally this thrust decrease would have seen a smooth and responsive engine deceleration, but the clogged metering valve refused to heed the commands of the auto-throttle. The fragile balance between fuel-flow, airflow and air pressure was thrown into disarray. ‘Okay, engine two stall,’ noted the captain. ‘Confirmed. I have control. 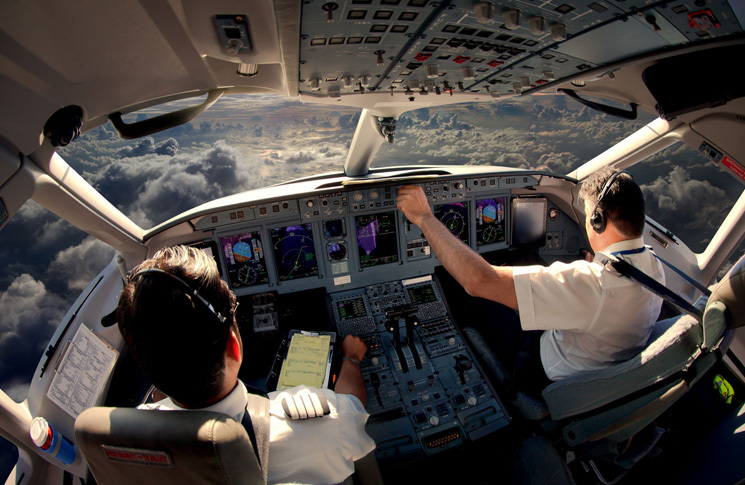 ECAM actions?’ replied the co-pilot referring to the automated checklist actions coming from the electronic centralised aircraft monitoring system. The crew quickly completed the rest of the checklist. This was the kind of thing they had practised many times and with the other engine apparently producing full thrust there was no need to be overly concerned. They could easily land the aircraft with the malfunctioning engine at idle. Still, there was a nagging suspicion this wasn’t a straight-forward engine stall. Why the continuing EPR fluctuations on both engines? They both knew what that meant. The checklist demanded the number 1 engine—what was once the good engine—be placed to idle to clear the stall but to do that meant the aircraft would have no useable thrust. This was now the pilot’s version of a ‘rock and a hard place’. 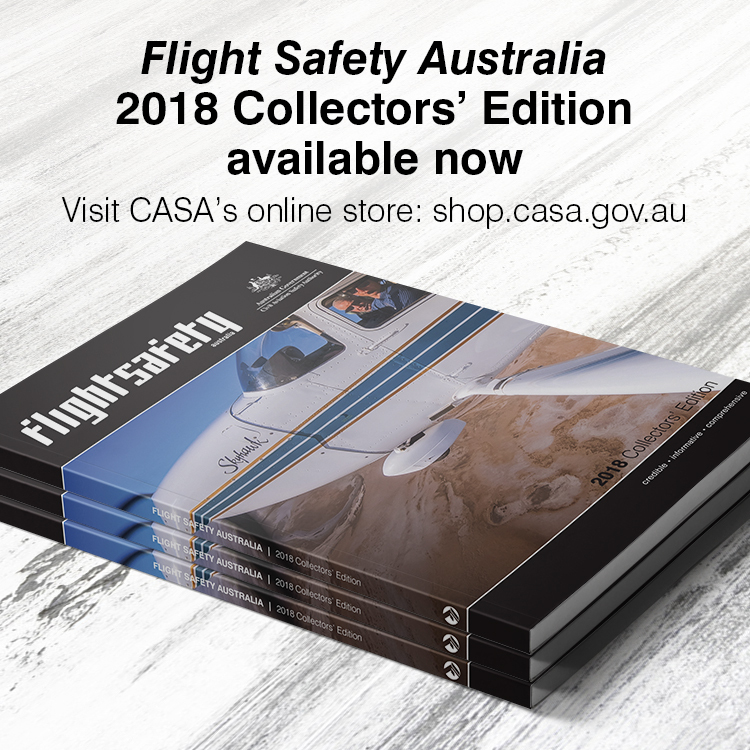 Do what the checklist required thus robbing the aircraft of all useable thrust and turning it into a bloated glider or ignore the checklist and hope the number 1 engine didn’t catastrophically fail while they flew the remaining 45 NM to Hong Kong? At this point in the story it’s probably worth drawing attention to the corollary of a bedside manner. This is a thing we could call an ‘office-side’ or ‘colleague-side’ manner. This is when the doctor is away from the bedside and can speak as freely as she or he determines. Removed from the emotional milieu of the patient, this might involve elevated tones, more colloquial language and maybe even a profanity or two. Regardless, the degree of candour will be far higher than within a few metres of said patient. For Cathay 780, behind the hijack-proof door and out of earshot of the ‘patients’, the cockpit voice recorder (CVR) chronicled what we will call the ‘command-side’ manner of the captain and co-pilot. ‘Engine one stall,’ noted the co-pilot. ‘Confirmed. I have control. ECAM actions,’ replied the captain. With altitude in hand, the crew retarded the number 1 engine and began discussing how to proceed. They disengaged auto-thrust and the captain gingerly attempted to assess the level of thrust available from each engine by advancing the throttles one at a time. If there was a time for the crews’ ‘command-side’ manner to crack it was now. Instead the CVR faithfully recorded the crew steadily ‘working the problem’. First there was the change to manual flight and the conversion of airspeed to height. Then the auxiliary power unit and engine ignition relight switches to ‘IGN’. At the same time the captain continued to test the throttles working one then the other in the hope some thrust, any thrust, might be restored. As the number 1 thrust lever was pushed forward yet again the captain managed to get 74 per cent of normal compressor speed. Not as much as he’d hoped but better than nothing. What is amazing about this announcement is that it occurred after the dual-engine stall and with the uncertainty of a jammed-throttle approach looming ahead. Time doesn’t permit here but page 183 of the investigation report contains the CVR transcript of what happens next behind that door and is well worth a click. I have to say that I’ve read and researched many an accident and often noted a marked dissonance between the voice over the PA and the voice inside the cockpit. Not so for the crew of Cathay 780. The composure behind and in front of the cockpit door maintains an impressive consistency even through a demanding landing involving, amongst other things, partial power, jammed engine controls, a requisite high-speed roll-on, malfunctioning thrust reversers, a brake fire and finally an emergency evacuation. 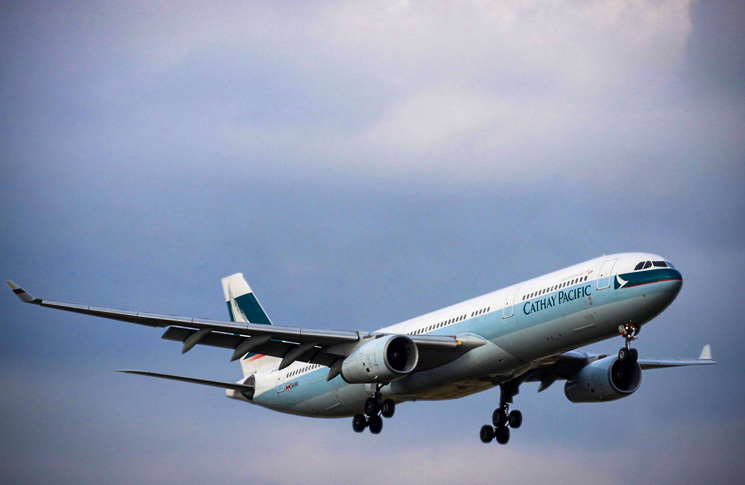 But the lesson from the heartening tale of Cathay 780 is not merely one of composure. It’s a lesson that speaks to the training, the experience, the communication skills and the mutual respect of the crew. These are, and always have been, the fundamentals of emergency management. These are, in fact, the fundamentals that manifest in a good ‘bedside manner’. Anything less than this in the voice coming from behind that cockpit door—no matter how confident or calm—means any semblance of ‘bedside manner’ is most likely to be the upper case, acronymic ‘BS’ version. Not so for the crew of Cathay 780. Their walk matched their talk and our hats should go off to them. Very impressive; both the handling of the incident and your narrative. The ending was a little abrupt though and I was left wondering how the landing panned out. But with the professionalism displayed by the crew, I am sure it was as smooth as their ‘bedside manner’. Thanks, Adrian.